We love the energy that jumpsuits providethey simply exude confidence. 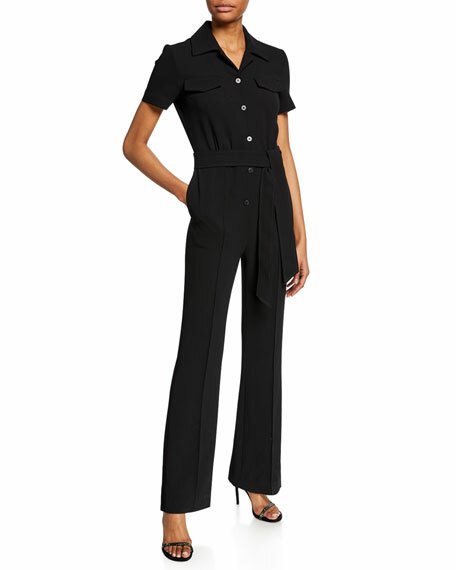 The Diane von Furstenberg Lucy jumpsuit, in a sophisticated silhouette, serves as a gutsy alternative to the LBD. 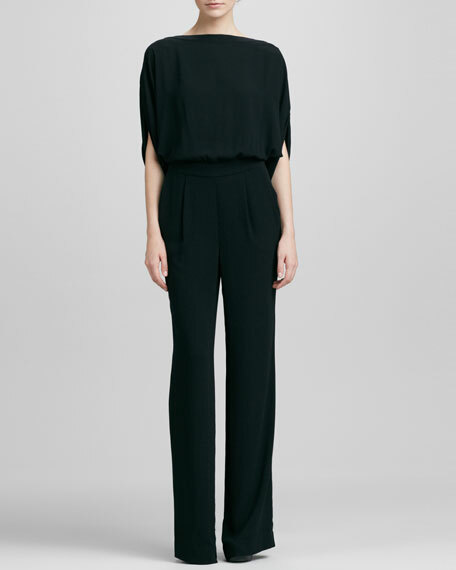 Pleated pants with seam pockets; wide legs fall straight. Model's measurements: Height 5'9"/175cm, bust 32.5"/83cm, waist 23"/58cm, hips 34"/86cm. 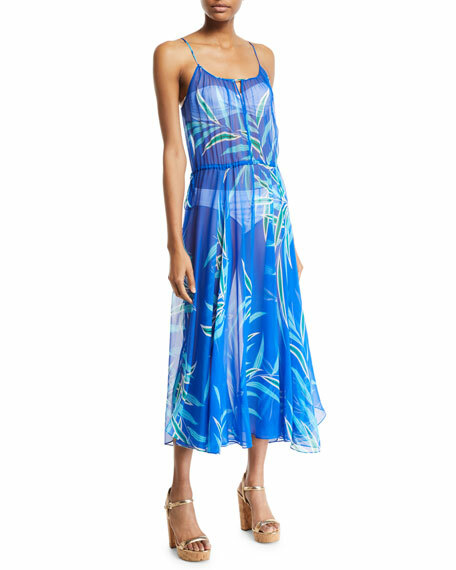 Diane von Furstenberg "Haven" dress with ruffle trim. V neckline; self-tie front. Long sheer sleeves. A-line silhouette. Hem hits above knee. Slipover style. Silk. Imported.